HEALTHIER HAIR IN 7 DAYS. We guarantee it, or your money back. SNOBGIRLS PROFESSIONNELLES 100% Free Series™ Hair & Skin Care line, formulated with the latest development in hair care, skin care, pharmaceutical and nutritional research. Fully conscious of the negative impact of harsh chemicals on human health and the environment, Snob Girls Professionnelles’ 100% Free Series* bans a series of over 40 ingredients commonly found in cosmetics, hair, skin and bath & body care products. Sufate Free, Paraben Free, Phosphate Free, PEG Free, Formaldehyde Free, DMDM Hydantoin Free, VOC free, and Zero- Animal* (Animal ingredient or by products free) are only a few examples of the ingredients you will not find in Snob Girls' high performance products. Read further to see a complete list of what you will and will not find in this superior product line. Unlike traditional and sulfate-based cleansers, Snob Girls' pure mild cleansing systems, derived naturally from coconut, gently cleanse without the risk of altering, breaking, eroding or stripping the natural lipids, essential hydration, natural vital protections of hair and the collagen found naturally in normal skin. That's why Snob Girls isnt' just for your hair, it's for your skin, too. Prowash and Masque Creme are available in each system, as shown in the links below. 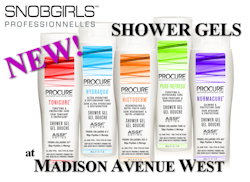 Prowash is a Shampoo & Body Wash, Masque Creme is the Conditioner & In-Shower Lotion. Your hair and skin will feel incredible from these products! We guarantee it, or your money back! For fine, limp, lifeless hair. Adds volume & style retention. Snob Girls Professionnelles is enhanced with rosemary oil, sesame extract, vitamins A, B, C, E & H, methionine, and oligo-protein rich nutrients nourish and help prevent the premature loss of essential vital substances and help reverse the signs associated with hair ageing. Helps protect against the drying, oxidizing and damaging effects of sulfates, chlorine, salt, free radicals, toxins, harsh chemicals, heat styling, pollution, sunrays, technical services, coloring, perming, and relaxing treatments. This nourishing synergistic complex of potent antioxidants, photo-protecting compounds, multifunctional phyto-extracts, and replenishing nutrients helps neutralize free radicals, prevent, protect, hydrate and repair deep from the core to the surface. Helps preserve and sustain the optimal integrity of internal and surface structures of hair for silky, shiny, healthy and youthful looking results. Biopeptides + Vitamin C + Retinyl Palmitate Proprietary System™ helps trigger and boost production of skin's natural collagen for optimal texture, resilience, suppleness, elasticity and smoothness of your skin, while contributing to the reduction of the signs associated with premature skin aging. TruHydrolipidic Guard™ helps repair the natural hydrolipidic protection for optimal hydration and defense against pollution, sunrays, harsh conditions, and styling stress. Helps soothe and relieve symptoms associated with dry, itchy or irritated scalp. Helps control hair static, humidity and breakage. Helps to diminish hair drying time up to 55%. 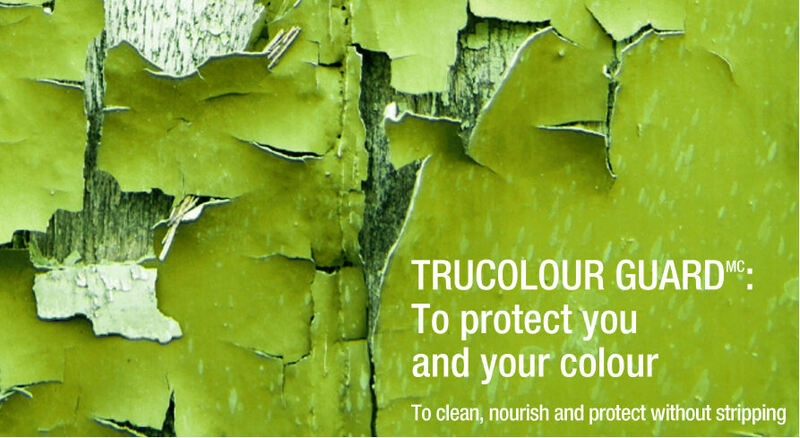 TruColour Guard™anti-fading effect helps seal, protect, preserve, revive and prolong the colour and radiance of colour treated hair. 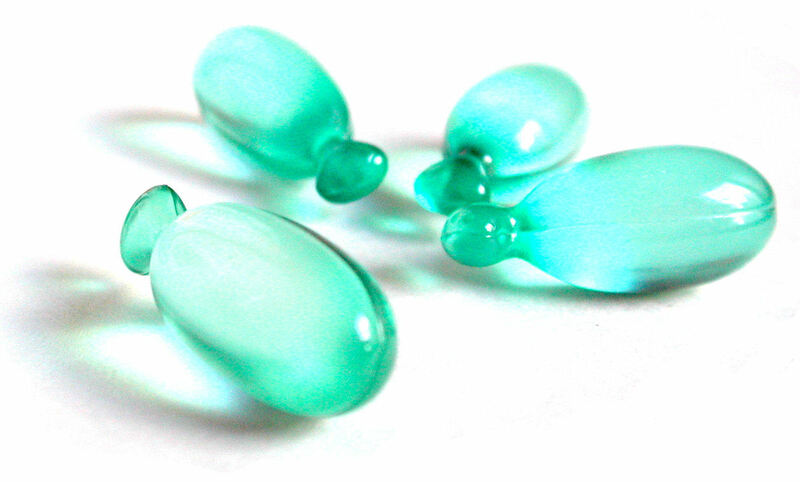 Algae Marine extracts, Amino-Acids, B-Complex Vitamins, Natural collagen activators, Oligo-Proteins, Phyto-Nutrients, Multivitamins, Phyto-Collagen, Phyto-Hyaluronic Acid, Phyto-Omega 3, Phyto-Protectors, Roots Extracts, Seed oils, Fruit oils, Essential fatty acids, Soothing botanicals, Herbals, Emollients, Vitamins A,C &E, Antioxidants, Hydrating agents, Essential lipids, Plant extracts, Flower extracts, Leaf extracts. Continuous total care Bio-Serum is an ultra light leave-in treatment scientifically formulated to continuously deliver the essential nutrients to help treat, protect, preserve, condition, hydrate, repair, rebuild, and normalize hair and scalp in their specific needs. PROPRIETARY BLENDS OF NOURISHING COMPLEXES help protect against the drying and damaging effects of sulfates, chlorine, salt, free radicals, toxins, harsh chemicals, heat styling, pollution, sunrays, colour and chemical treatments. The synergistic blend of potent antioxidants and phyto-protective nutrients help rebuild the natural hydrolipidic barrier which helps preserve the structural integrity and youthful vitality of hair and scalp. Helps prevent hair static, breakage and split-ends. Suitable for all scalp types. 100% Free Series*. Water Free, Rinse Free, Preservative Free, Formaldehyde Free and Paraben Free. 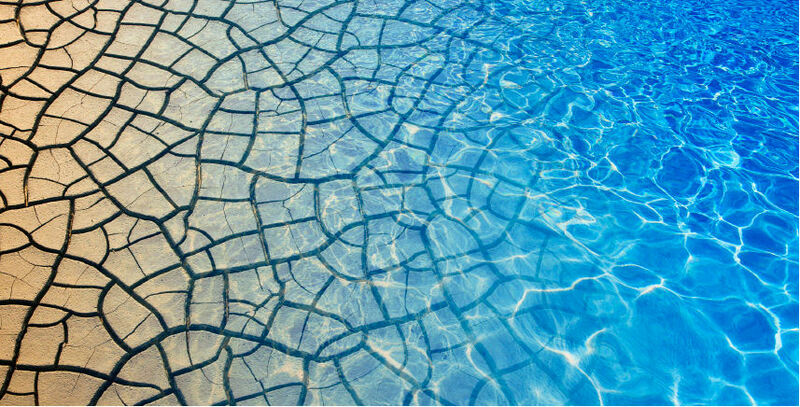 Nourishing Complexes. Rapido Wet-2-Dry*. Thermo-protection. TruColour Guard*Anti-fading effect helps seal and preserve hair colour and essential moisture for ultra-long results and radiance. Helps protect hair and scalp from environmental stress. HYDRAREGULATOR*is a self-adjusting humidity compound which locks in optimal moisture while repelling excess humidity for long lasting results. 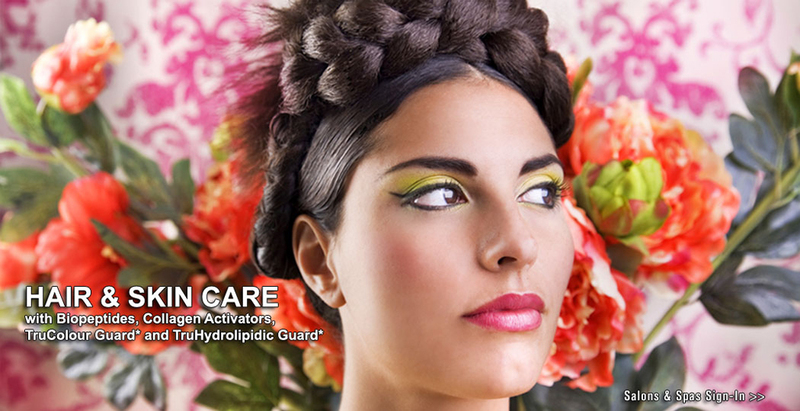 TruHydrolipidic Guard*system helps maintain, protect, nourish, repair and rebuild hair and scalp natural hydrolipidic protective barrier; and helps restore the normal physiological pH for optimal natural defense against harsh conditions, sulfates, toxins, pollution and the daily environmental assaults. It helps provide long-lasting hydration and relief of the symptoms associated with scalp discomfort, irritation and itchiness. Pre-measured unit dose capsule is a highly hygienic and patented pharmaceutical grade delivery system for sustained product purity. Tamper evident and cross-contaminant free. Colour coded by formula. Always pure and easy to use. One capsule per treatment. Rapido Wet-2-Dry* System cuts hair drying time up to 55%. 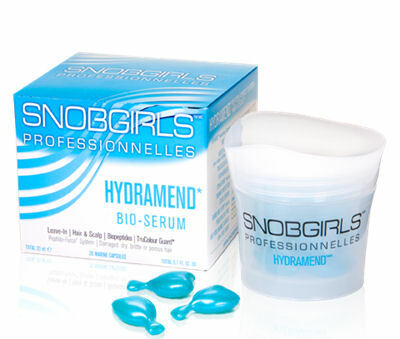 Which Snob Girls Professionnelles Prestocure Bio-Serum is right for me? but when choosing one, try to focus on your individual hair needs, and the style which you are trying to achieve. Smooths, tames, and controls frizz instantly. For curly hair, whether blowing straight or leaving curly. Instant hair repair for split-ends, adds smoothness and shine. 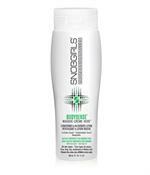 Adds intense shine and protects color-treated hair from fading. 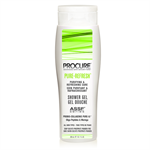 Adds body, volume, and helps hair retain it's style, shape. Intense hydration and repair for damaged, dry, brittle hair. Intense nutrition and balance, great for thinning hair, or as color-additive for sensitive scalps. Intense shine and silky softness for all hair types. For damaged, dry, brittle or porous hair. For normal, dry, stressed, colored or treated hair. 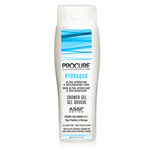 For thick, dry, unmanageable, coarse, curly or wavy hair. Instant shine and protection when you blow dry! Deep conditioning treatments! Be a Snob Girl with SNOBGIRLS! 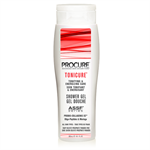 CURALIGN Prowash for hair, scalp, face and body. CURALIGN Smoothing Conditioner for hair, scalp, face and body. HYDRAMEND Prowash for hair, scalp, face and body. STRONGFORCE Masque Creme for hair, scalp, face and body. STRONGFORCE Prowash for hair, scalp, face and body. BODYDENSE Prowash for hair, scalp, face and body. DETOXCURE Prowash for hair, scalp, face and body. PROCURE Masque Creme for hair, scalp, face and body. 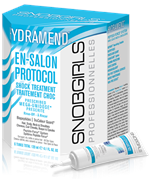 SNOBGIRLS En-Salon Protocol Shock Treatment packs a mega-dose of bio-nutrients for hair, scalp and skin. BODYDENSE Masque Creme for hair, scalp, face and body. HYDRAMEND Masque Creme for hair, scalp, face and body. Fuller, thicker hair with style retention.